Google and Microsoft’s Bing will no longer let you browse for pirated content and illegal streams as effortlessly as you used to. The search engine heavyweights have agreed to a new voluntary code of practice in the UK that will see websites known to engage in illegal distribution of content become less visible in search results, The Guardian reports. The newly introduced code is aimed at improving collaboration with rightsholders and accelerating the takedown process following DMCA notices. In addition to steering UK netizens away from pirated content, the new code will also direct searches for films, music, digital books and sports coverage to certified content providers rather than other illegitimate distributors. Organisers say the new agreement builds upon previous anti-piracy measures – like court ordered site blocking – designed to reduce online copyright infringement. 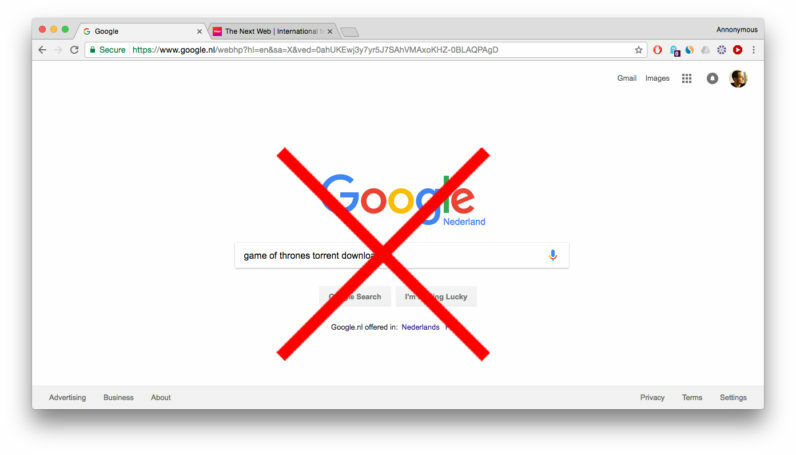 While the code will not entirely wipe out pirating websites from search engines, it will demote such portals from appearing in search results and promote genuine distributors instead. The Alliance for Intellectual Property is yet to reveal the code to the public, but the changes are expected to roll out by the summer. As TorrentFreak remarked last week, it will be interesting to see whether the code extends beyond the UK, stressing that once the agreement goes live there – Google and Microsoft might eventually have to buckle and enforce the same restrictions across the globe.